Thousands of Jews from all over the world participated in an unprecedented day of events at the top of Har Hazeisim on Israel’s 2nd day of Chol Hamoed (April 25th). The event was sponsored by the Ministry of Culture and Sport, headed by Minister Miri Regev, the Jerusalem Development Authority and the International Committee for the Preservation of Har Hazeisim (ICPHH). Police estimated that nearly 4,000 people participated in an event they expected no more than 1,000 people to attend. The day of events took place in the plaza in front of the Seven Arches Hotel (formerly the Intercontinental Hotel) and include greetings from Deputy Mayor Moshe Lyon, Minister Miri Regev and Rabbi Pesach Lerner, who represented the ICPHH. The event did not take place in the holy cemetery below but in the square atop the mountain near the hotel where other concerts and events have taken place in the past, including the world-renowned Cantor Yitzchak Meir Helfgot who along with 90 musicians, three choirs, and two world-renowned cantors marked the 82nd yahrzeit of the “King of Cantors,” Yossele Rosenblatt last June. 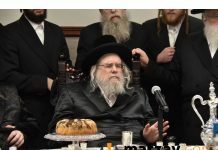 The Chol Hamoed event had the blessing of the Chief Rabbinate of Israel. The day was divided into several parts beginning with a first-rate Chasidic musical program, including the Pirchei of Yerushalayim Choir, led by Chanan Avital, Klezmer bands, and such notable performers as Edan Emdi, Yishai Lapidus, Yishai Ribo and Mati Shriki and Choir. The simchas Yom Tov on Har Hazeisim is fitting for a holy site where Jews made “aliyas haregel” and bought korbanos in the stalls on the mountain for service across the street on the “mizbeach” of the Bais Hamikdash. In fact, one of the highlights of the day was the organized tours with visits to the exact location of the where the ashes of the parah ha’adumah were and where the kohanim prepared themselves for the avoda. 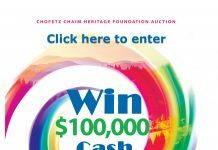 “This is indeed an historic day as we strive to make Har Hazeisim secure and restore it to its prominence in Jewish history,” said Rabbi Lerner. He singled out Minister Regev for her unyielding support for the security on Har Hazeisim which was so much in evidence when she served as Chair of the Interior Committee of the Knesset and now as Minister of Culture. 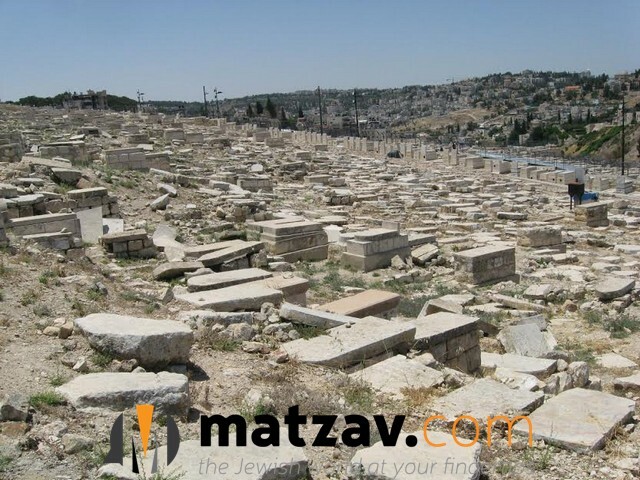 “I can only imagine how this 3000-year-oldcemetery will come to life when we completely restore complete security to this holy site,” said Avrohom Lubinsky, the founding chairman of the International Committee for the Preservation of Har Hazeisim. Minister Regev pledged to make the event an annual happening on Har Hazeisim. There was also high praise for police officials who not only provided security for the area but assured that there was an orderly flow of busses and vehicles to the event. The ICPHH was founded in May 2010 after a devastating report by Israel’s State Comptroller Micha Lindenstrauss pointing to the systematic violence, abuse, destruction and desecration on Har Hazeisim. The ICPHH has since managed to affect the installation of 136 surveillance cameras and an underground monitoring station as well as the establishment of a police substation. The ICPHH is currently involved in many additional projects including the installation of a wall, restoration of 23,000 graves, and the construction of a Visitor’s Center.